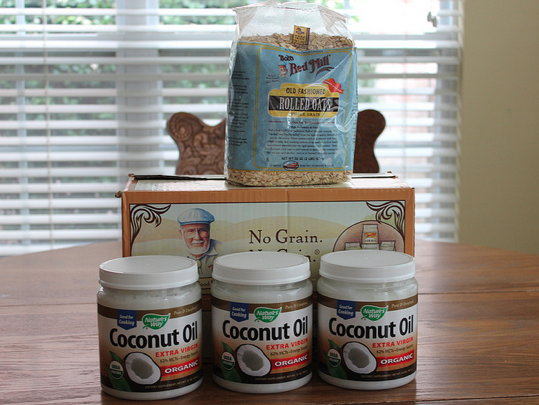 We love coconut oil and use it all the time…however, I have been buying that same brand from Amazon (I do subscribe and save) and my latest shipment of coconut oil was rancid. Just a warning! I wonder if they’re on sale for a reason. 😉 They may have been stored at the wrong temperature for too long. My older tub of coconut oil smells wonderful but the new one smells awful. I ed Amazon and they gave me a refund and I threw the bad oil out. A friend and I took the kids to a family day at the local plant nursery where they decorated pie pumpkins for free (I’ll be roasting mine later on- did this last year with a tip found here), planted a pansie in an ice cream cone, got a balloon, we all ate popcorn and took cute pics with all the different kinds of pumpkins. We all came back to our house and I was able to pull off a last minute lunch with green rice casserole and taco meat from the freezer, leftover homemade pizza apples for the kids and a quick boxed dessert. We later planted the pansie in a flower bed.